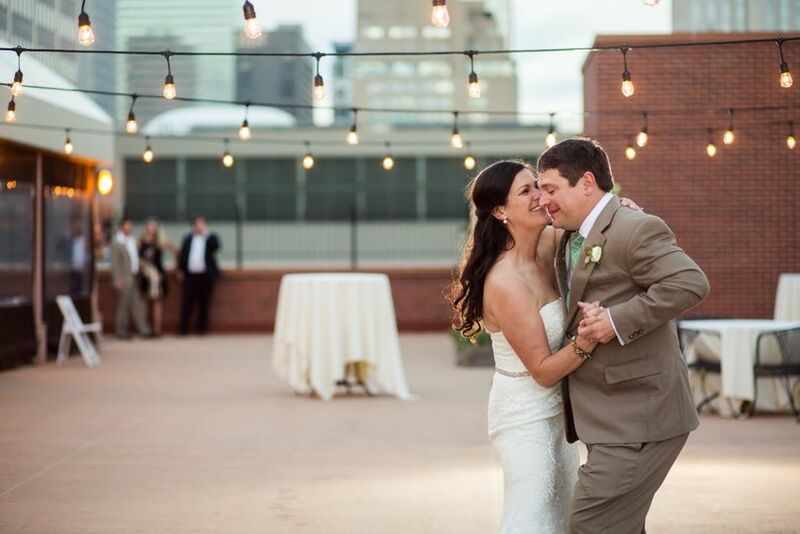 The Denver Athletic Club is a historic wedding venue located in downtown Denver, Colorado. 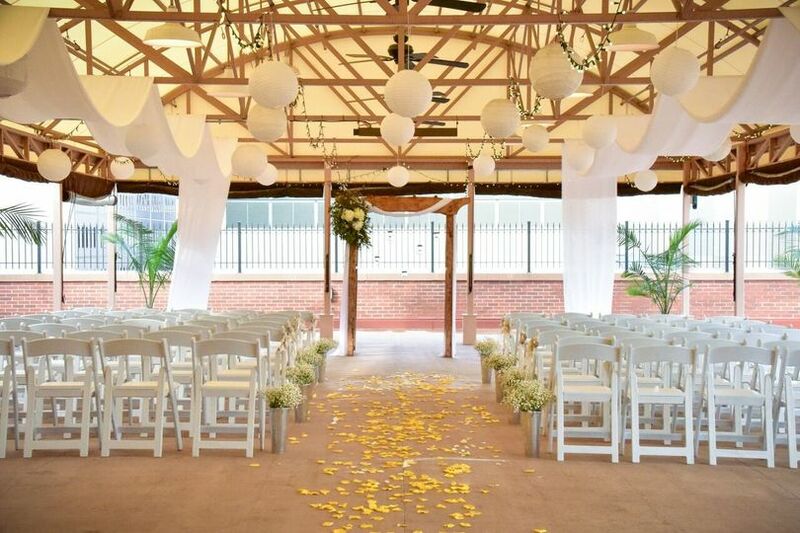 They offer multiple elegant and classic settings for both your ceremony and reception. Founded in 1884, this prestigious private club has an ambiance full of tradition and luxury. 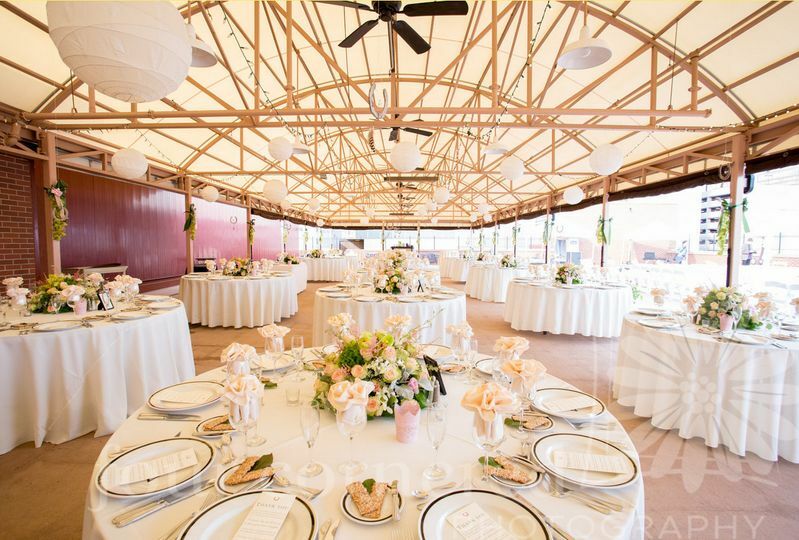 The Denver Athletic Club offers passionate wedding professionals to bring your vision to life. 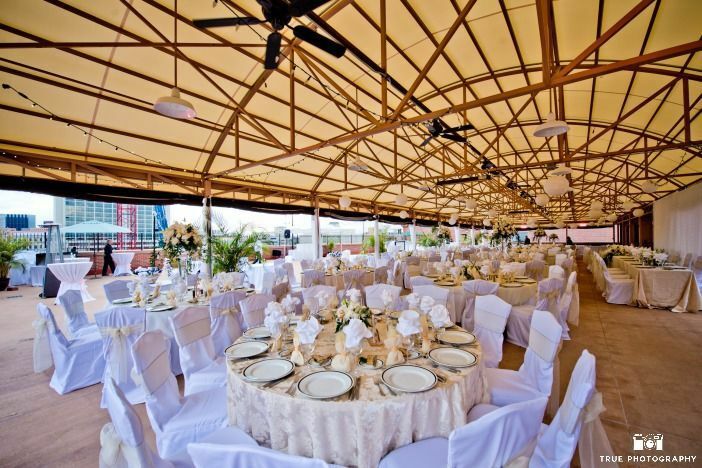 Couples can accommodate up to 400 guests at this sophisticated venue. They have multiple indoor and outdoor settings to choose between. Their newly renovated Grand Ballroom features breathtaking chandeliers, high ceilings and wall sconces. This large space is perfect for dancing the night away. 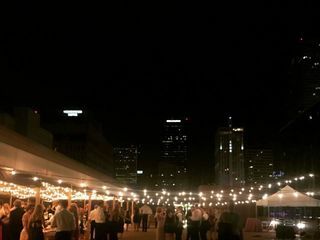 If you prefer gorgeous views of Denver’s skyline, their 9,700-square-foot Sundeck is ideal. 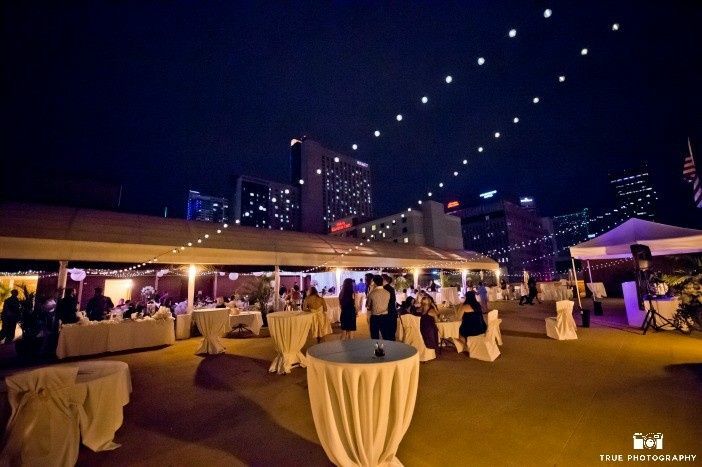 It’s perfect for a spring, summer or fall event. 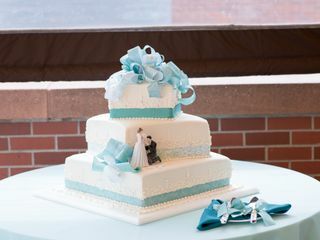 This unique venue has an experienced team of catering professionals and a talented culinary team to ensure your menu is everything you dreamed it to be. They specialize in a variety of cuisines, including American, Italian, Mexican and Mediterranean, to name a few. 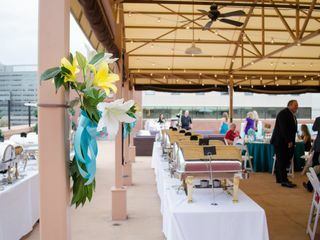 Couples can choose between hors d'oeuvres, a buffet, a plated meal, stations, a cocktail reception or family style. 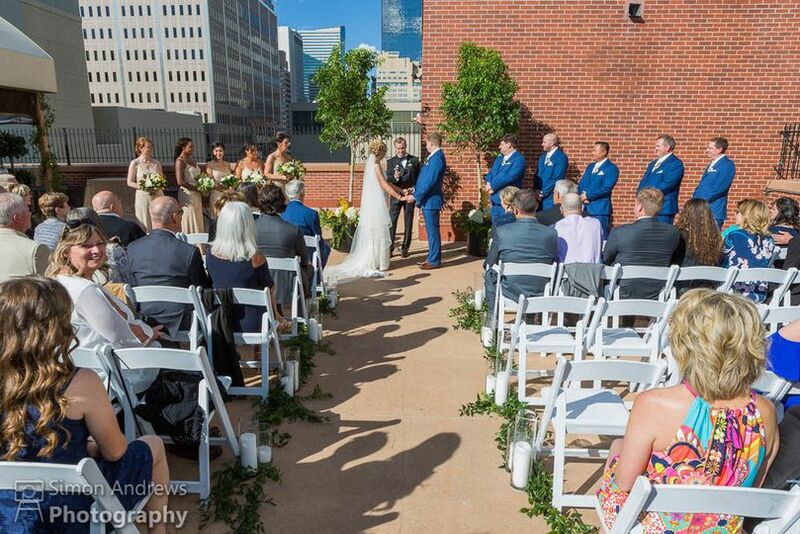 In addition to hosting your wedding, The Denver Athletic Club is also happy to host your engagement party or rehearsal dinner in one of their 12 stylish meeting rooms. They also have a seven-table Billiards Room and a 1950s retro-style Bowling Alley, perfect for your bridal shower or bachelor/bachelorette parties. We cannot say enough about the Denver Athletic Club! I was not able to visit the facility for six months after we booked it sight-unseen, because we live out of state. Living far away did not deter us from booking because, immediately upon communicating with her, Stephanie made us feel confident in our decision. Stephanie was unbelievably helpful, flexible, and thorough. I am an extremely detailed person and appreciated her reciprocation of detail and genuine efforts to make our day perfect. We were married on the sundeck, where we also held our cocktail hour and dinner. The food was impeccable and the drinks were delicious. 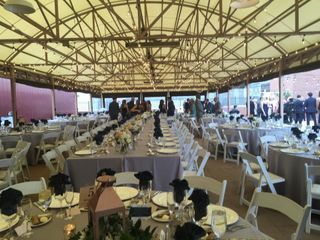 The venue was gorgeous, and the tent provided sun shade, rain/hail protection (yes, it hailed), and the heat lamps carried us comfortably into the night. 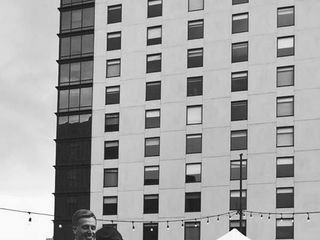 The Chef was fantastic at both our tasting and on our wedding day. He made the groom a special salad and was accommodating to our tastes. We received RAVE reviews about the food. 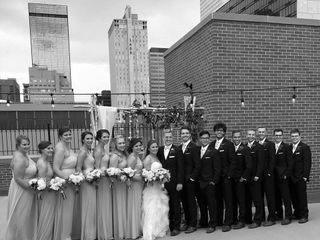 From the linens and chairs to the work out facility and hospitality, I strongly recommend the DAC for your wedding or event. 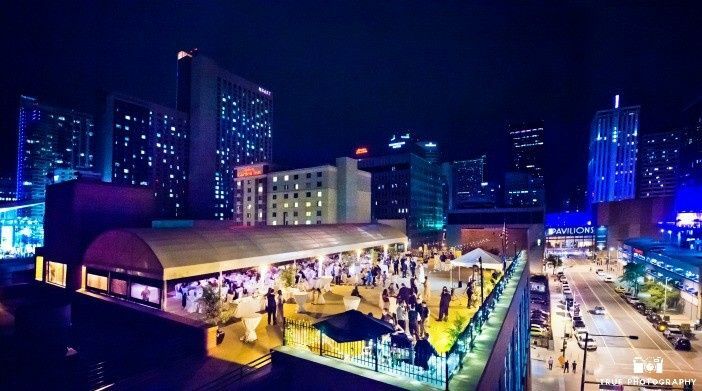 We had 78 people at our event but the rooftop can certainly accommodate more folks than that. 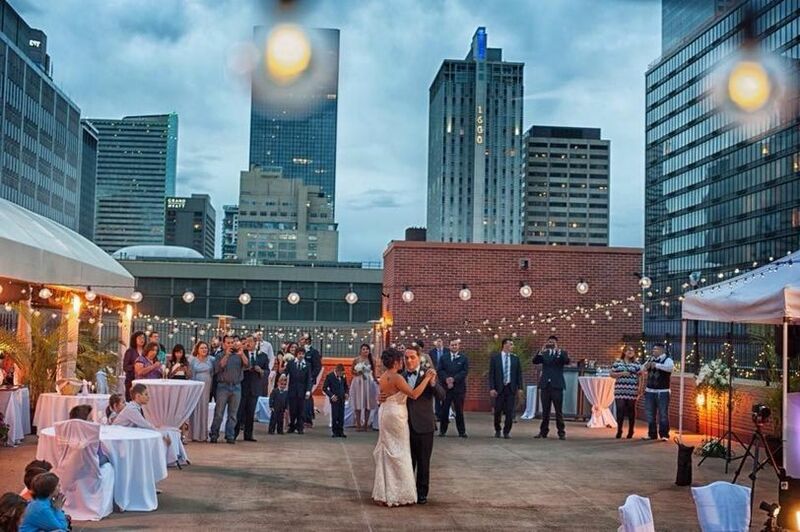 If you are looking for an urban, classic, sophisticated wedding venue right in the heart of Denver, the DAC is the place for you! First of all, the staff at the DAC are incredibly professional and communicative. 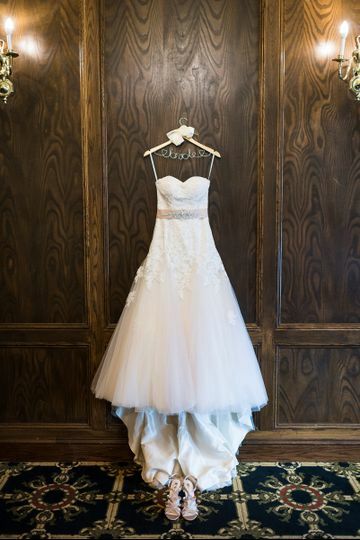 They go above and beyond to ensure that your wedding is exactly what you are envisioning for your big day. 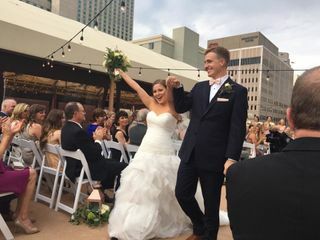 The dynamic spaces that they can provide are what initially drew us to this venue-- from the rooftop with skyline views, to the elegant ballroom, to the billiards room for our groomsmen, and the huge bridal suite to get ready in, all of our wedding day needs were met. The DAC is surrounded by over 20 hotels, so our guests had flexibility depending on their budget. The DAC provides all your food and beverage, as well as linens and furniture. Our guests are still complimenting the quality of the food served at our wedding. We could not have asked for a better experience. They are the reason our wedding was the best day ever! I cannot say enough great things about this venue. Our coordinator was so amazing and responsive. She helped us every step of the way! Having everything all in one package (caterer, venue, alcohol etc) made everything so much easier and stress-free. The venue even took care of all of the set-up and tear-down! If I had to do it all over again (hopefully that's not the case!) I would pick this venue again in a heartbeat. Amazing amazing staff and an absolutely gorgeous place to get married.